Black pants matched up with navy blue shoes are a fashion no-no. So are dark brown suits with a maroon shirt. However, those mistakes are bound to happen when homeowners rummage through dark closets to select their outfits. 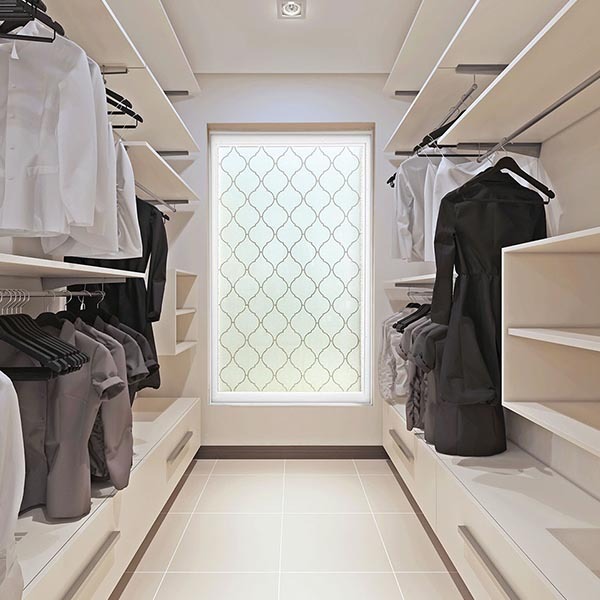 "The solution, quite simply, is to add a privacy window to a closet," says Roger Murphy, president of Hy-Lite, a U.S. Block Windows Company. "Both acrylic block and decorative silkscreened patterns on privacy windows keep out prying eyes while allowing natural light to enter the closet. This adds to both the functionality and overall beauty of the closet."